The Divine Worship Service at St. Paul is usually traditional using a variety of settings and rites from the Lutheran Service Book. When appropriate newer songs will be used. Sunday Worship is at 9:30 AM, most weeks. For special events the service is at 10:00 AM These special events include Easter, Father's Day, Thanksgiving, Christmas and New Years. 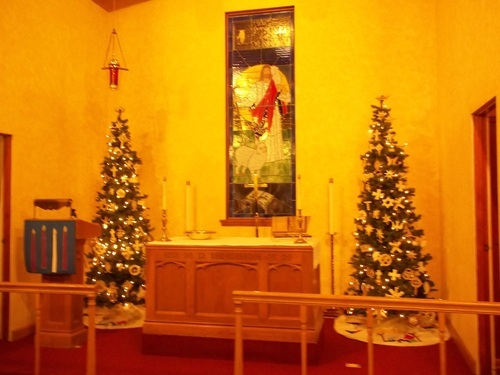 During Advent & Lent there is a Wednesday Evening Service at 7:00 PM. Advent Suppers are held at 6:00 PM in December. Lent services will follow a fellowship meal at 6:00 PM on starting on Ash Wednesday. Thanksgiving is celebrated the Sunday before Thanksgiving with a 10:00 AM service and is followed by a full Thanksgiving meal. Christmas Eve Candlelight Services are held at 4:30 PM & 7:00 PM on December 24. 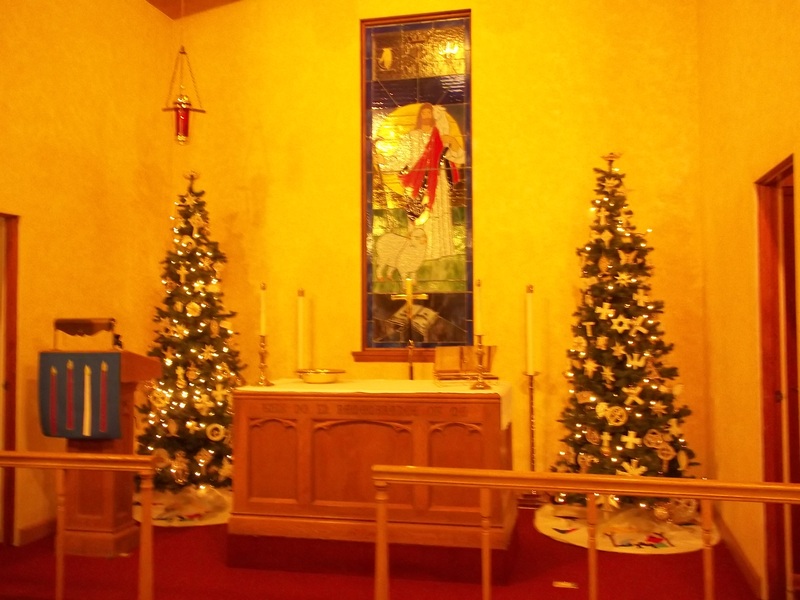 Christmas Day Divine Service is held with Trinity, Glendora at 10:00 AM on December 25. It is at Trinity on the corner of Glendora & Cleveland Roads.